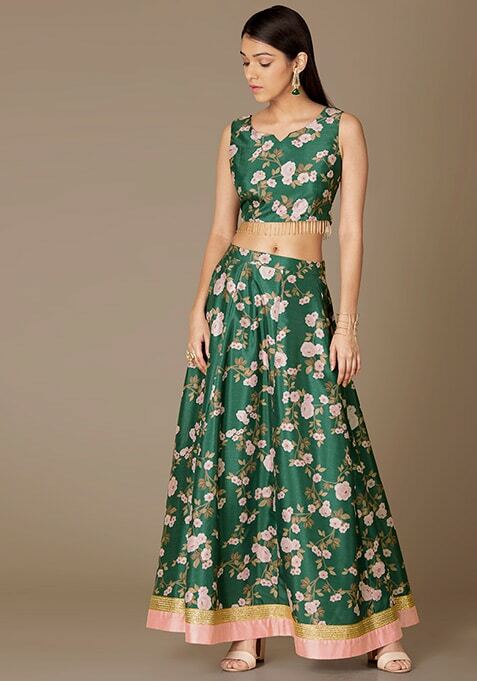 Channel an occasion worthy vibe by slipping into this dark green maxi skirt that makes a perfect occasion wear. It features floral print all over and double border hemline. Work It: Keep it simple by pairing this skirt with a matching crop top and a peach net dupatta.